Elizabeth Knudson (b. 1981) is a Vancouver-based composer, and an Associate of the Canadian Music Centre. She holds a Bachelor of Fine Arts degree from Simon Fraser University (2004), where she studied with David MacIntyre, Owen Underhill, Janet Danielson, and Barry Truax, and a Masters degree in Composition from the University of British Columbia (2006), where she studied with Keith Hamel. Ms. Knudson is currently composer-in-residence of Vancouver-based Allegra Chamber Orchestra (since 2017). She has had works performed by the Vancouver Symphony Orchestra, Victoria Symphony, West Coast Symphony, Vancouver Philharmonic Orchestra, Phoenix Chamber Choir, musica intima, Chor Leoni Men’s Choir, Turning Point Ensemble, soloists Ariel Barnes (cello), and Oliver de Clercq (horn), the RTSH Radio Television Orchestra (Albania), Duo Ahlert & Schwab (Germany), and Music Progressive Quartet (Macedonia), among others. Highlights include performances at the Sonic Boom Festival (Vancouver, BC), Open Ears Festival (Kitchener, ON), Baie des Chaleurs International Chamber Music Festival (Dalhousie, NB), and the New Music Festival at California State University (USA), and being guest host of the first international edition of “Making Waves” new music programme (Australia), a programme featuring works by seven Canadian composers. Ms. Knudson has been the recipient of several awards, including the Meir Rimon Commissioning Assistance Grant through the International Horn Society (2012), for the composition of a new trio, Alchemy. She was also winner of the Association of Canadian Women Composers’ national choral composing competition (2005), and the Golden Key International Honor Society’s composition award for her orchestral work, The Gnarled Root (2004). In 2011, Elizabeth was selected for residency in the Canadian League of Composers/Canadian Music Centre’s inaugural Composer Mentorship Programme. 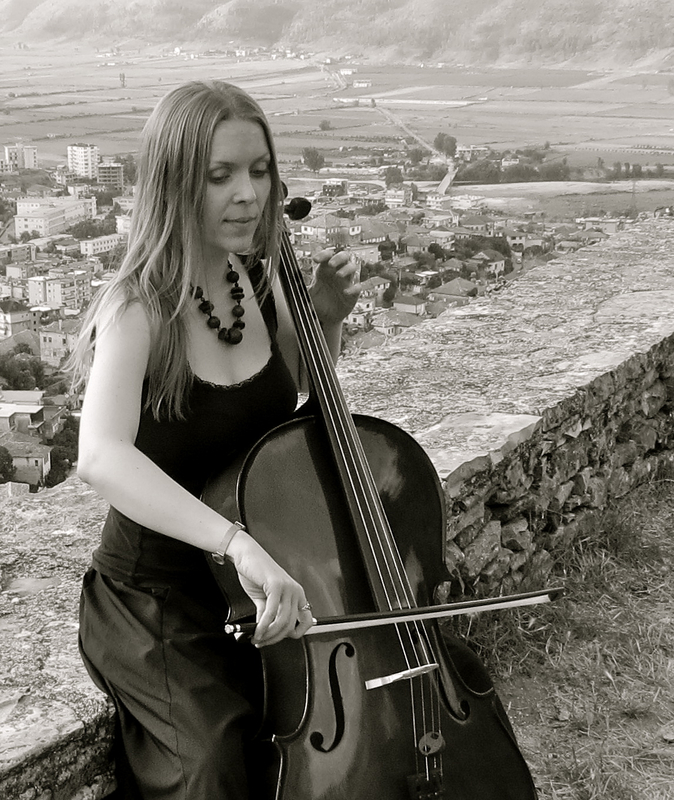 In both the summer of 2012, and the spring of 2018, she toured as a cellist with the West Coast Symphony Orchestra, through Albania, Macedonia, Kosovo, and Montenegro. Recent premieres include a horn concerto (“Mosaic”), a jazz concerto (“Blueprint”), a work for sitar, clarinet, and string trio, (“A Drop of Honey”), premiered at the Indian Summer Festival in Burnaby, BC, Canada, a work for cello octet (“Acqua”) in collaboration with a choreographer and four dancers, premiered in Vancouver, Canada, and a work for quartet and orchestra (“Equinox”)—taken on tour through Albania, Macedonia, Montenegro, and Kosovo with Music Progressive Quartet, and the West Coast Symphony Orchestra. Outside of composing, Elizabeth is a freelance cellist and music instructor, and performs with several local ensembles, including the Syrinx String Quartet. Elizabeth Knudson is a Vancouver-based composer, and an Associate of the Canadian Music Centre. She holds a Bachelor of Fine Arts degree from Simon Fraser University, and a Masters degree in Composition from the University of British Columbia. Recent highlights include being guest host of the first international edition of “Making Waves” new music programme (Australia). Recent works include a jazz concerto- “Blueprint”, “A Drop of Honey”- premiered at the Indian Summer Festival in Burnaby, BC, Canada, a work for cello octet- “Acqua”, and a work for quartet and orchestra- “Equinox”, taken on tour through Albania, Macedonia, Montenegro, and Kosovo with Music Progressive Quartet, and the West Coast Symphony Orchestra. Elizabeth is currently composer-in-residence of Allegra Chamber Orchestra.